The law firm of Johanson & Associates engages in a general civil practice serving the transactional and litigation needs of business clients in such areas as banking, commercial, real estate, construction, corporate, partnership, media law. Johanson & Associates is an energetic, progressive law firm whose attorneys have high personal standards of integrity. The firm is committed to providing each client with intelligent, vigorous representation tempered by pragmatism and common sense. The firm believes that the best form of problem solving is prevention. To that end, Johanson & Associates strives to anticipate the clients' legal problems and develop strategies designed to overcome them. Prevention, however, is not always possible, and the firm is prepared to pursue all means legally available to achieve the clients' goals. The primary objective is to resolve successfully each client's matter in the most effective manner possible. The firm's reputation for excellence has fostered the growth of a diversified business clientele, including some of the most respected businesses in Sacramento. Representative clients of the firm include: River City Bank; Hearst Television, Inc. (KCRA-TV); HP Hood, LLC; Eureka Seeds, Inc.; KKN, Inc.; the Kelly Foundation; the Robert and Marilyn Witter Foundation; the Morton Golf Foundation; and, Gekkeikan Sake (USA), Inc. The law office of Johanson & Associates will represent your estate planning legal matters. 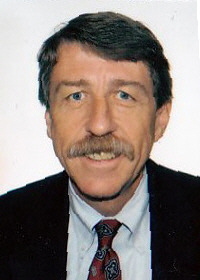 Stephen H. Johanson is the principal attorney of the firm. Mr. Johanson was born in Sacramento, California in 1949. He received his undergraduate degree from the University of California at Davis in 1970. He received his juris doctor degree from University of the Pacific, McGeorge School of Law in 1974, where he was associate editor of the Pacific law Journal and a Member of the Traynor Honor Society. He received a master of laws degree from McGeorge in 1983. Mr. Johanson has over 35 years experience representing businesses and financial institutions as in the areas of corporate and commercial law and representing individuals with regard to estate planning and probate matters. He has also represented media clients before state and federal courts in the areas of press access, the reporter's privilege and responding to subpoena requests. Mr. Johanson is an Adjunct Professor of Law at American River College teaching in the areas of Corporate Law and Civil Litigation. He also serves on the American River College Advisory Board Legal Assisting Program and as a Judge pro-tem for the Sacramento County Superior Court.